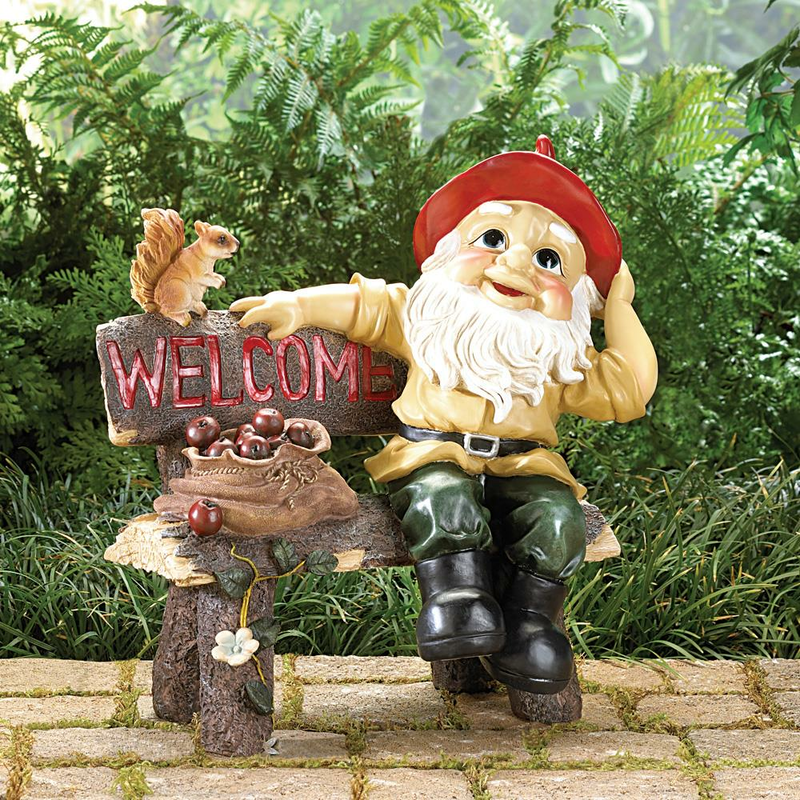 An apple-cheeked forest gnome perches perkily on his hand-hewn bench, grinning a greeting to one and all. He's even brought along a furry-tailed pal to help with his duties as host! 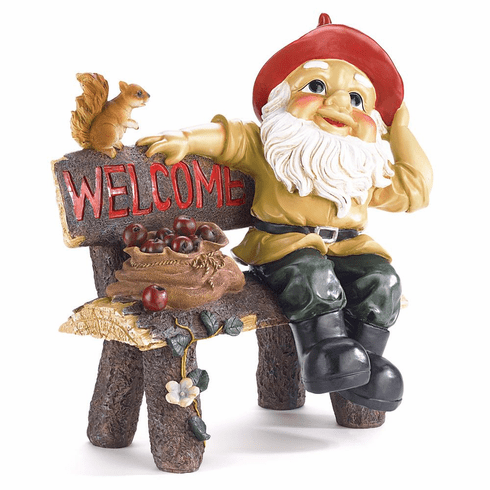 A witty and winsome way to welcome visitors to your home with a darling dose of fairy-tale charm! Weight	5.6 pounds. 13.4" x 9" x 14". Polyresin. UPC Number:849179012380.